When you call our office you will speak to a member of our support staff for assistance. We love our support staff! Ann Gamble loves to meet and greet people, and she is passionate about greeting people in such a way that they feel cared for and loved. Ann worked in the textiles industry for thirty years. After her retirement, she was thrilled to have a new opportunity working with Carolina Family Services. Ann enjoys knowing the CSF clients, and she is especially fond of the grandparents. Ann is most proud of her family. She has four children, nine grandchildren, and two great-grandchildren. Anne also has five sisters and one brother, and she feels blessed that they are all in the Upstate area. Ann states that she loves the Lord and she knows there is a reason for everything. She is very involved with her church and she participates regularly in church activities. 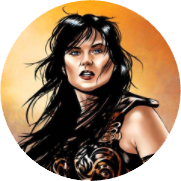 The superhero Ann chooses is Xena Warrior Princess. Sharon has worked with Carolina Family Services for about 2 years. Sharon loves the staff she works with and enjoys talking with all of the families she encounters on a daily basis. When Sharon is not at work she is in the cleaning business and previously worked in retail. Sharon loves spending time with her new grandson and loves also loves spending time with her large family on the weekends. 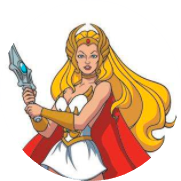 If Sharon could be a superhero she would choose She-Ra because she too has an empathetic and nurturing personality. Alan Lopez learned at an early age that family is everything. He enjoys working at Carolina Family Services because of the commitment to help families and to be a part of a team that makes a difference. Alan studied at Greenville Tech and will attend USC Upstate for Information Management and Business. Alan plans to obtain a Masters degree in Occupational Therapy. He is bilingual and he is able offer Spanish interpreting and translation for families. Alan is also CPR certified. Alan is close to his Latino heritage. His family is most important to him, and he states that his family’s needs are put over his own at times, and they take care of one another no matter what. Alan’s interests include music from various genres, including hip-hop, blues, country, rock, and oldies. His favorite television shows are Breaking Bad, The Get-Down, Narcos, Stranger Things, and The Walking Dead. He is a fan of the Clemson Tigers and the Pittsburgh Steelers. Alan is also vinyl collector, and he loves to dance. He is striving to become more competitive in break-dancing. Alan likes to read, travel, go to shooting ranges, and he is also a car enthusiast. 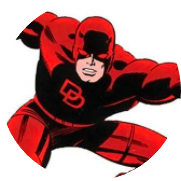 Alan’s chosen superhero is Daredevil.